Three readers have given ratings – all 5-stars and also written short reviews. Riding The Roller Coaster – Lessons from financial market cycles we repeatedly forget is #81 on Amazon’s bestseller’s list in the “Business Self Help” category. Majority of people believed that Hillary Clinton would get elected as US President. Most opinion polls predicted the same. But, finally when the results were out, everyone was taken by a surprise. For the political (and other) forecasters, this was just another day at office – another instance of a forecast gone wrong. 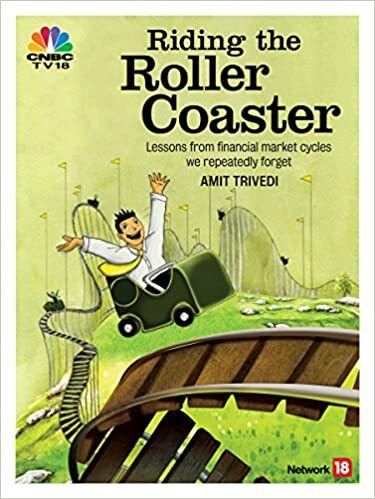 Read the chapter on “Expertise and Forecasting” in “Riding The Roller Coaster – Lessons from financial market cycles we repeatedly forget”. The book is available in English (hard bound), Gujarati (hard bound) and e-book formats.